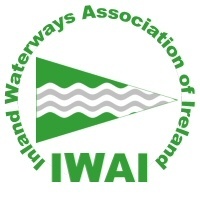 Kildare IWAI, founded in 1984, has an interest in the waterways from Lock 12 at Newcastle Road to Lock 20 at Ticknevin on the Grand Canal Main Line, the Naas and Corbally Branches, the Milltown Feeder and south on the Barrow Line as far as Lock 22 at Glenaree. On the Royal Canal, Kildare IWAI covers the area from Confey near Leixlip west to Kilcock. Take a look at some of our past Events and this year’s Calendar.